Don’t let power cuts and inconsistent power supply get in your way of a warm shower. 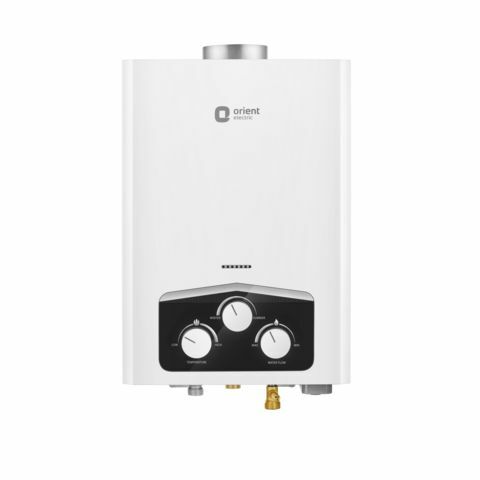 This LPG variant of Orient electric Vento Gas water heater provides hot water throughout summer and winter with more than 84% efficiency. It features a beautifully crafted sleek body with a temperature control knob. It has a 3 row burner and variable pressure compatibility of 0.1 to 8 Bar. Other salient features include 20 minute OFF timer, 3 row burner and pressure bearing capacity of up to 8 Bar. Don’t let power cuts and inconsistent power supply get in your way of a warm shower. 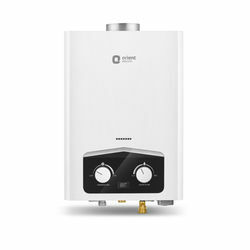 This LPG variant of Orient electric Vento Gas water heater provides hot water throughout summer and winter with more than 84% efficiency. It features a beautifully crafted sleek body with a temperature control knob. It has a 3 row burner and variable pressure compatibility of 0.1 to 8 Bar. Other salient features include 20 minute OFF timer, 3 row burner and pressure bearing capacity of up to 8 Bar.